We offer to our clients variant ranges of product like DOP-AE series Human Machine Interface. This series of product adopts excellent extension design and it can meet the demanding requirements of the user. Currently, we provide the models of 5.7", 8.0", 9.4", and 10.4" display with monochrome and multiple colors. Moreover, the Major application of this series include, a wide range of industrial monitoring systems, such as HVAC, Printing Machine, Exposure Machine and Product Line Monitoring Equipment. 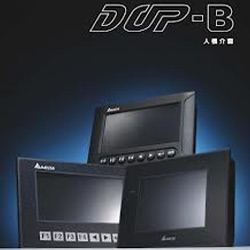 We offer to our clients the product range of DOP A-series Human Machine Interfaceas we are the prominent supplier and manufacturer of industrial automation solution. This series is specially designed for practical usage and it can meet the general requirement of the user. Currently, we provide the models of 5.7", 8" and 10.4" display with monochrome and multiple colors. Moreover,a wide range of industrial monitoring systems, such as HVAC, Printing Machine, Exposure Machine and Product Line Monitoring Equipment are the major applications of these series. 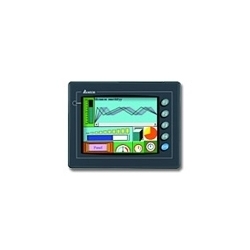 Looking for Human Machine Interface System ?